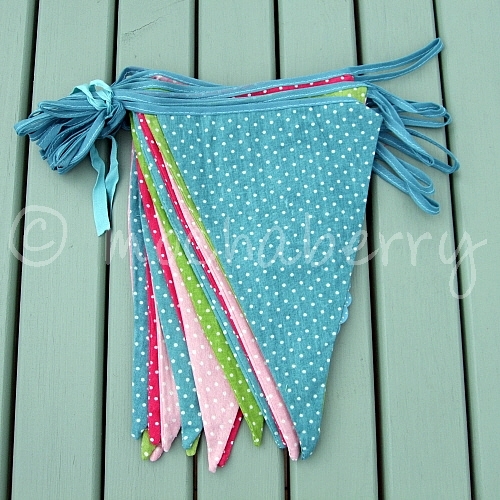 We just love this new vintage style spotty fabric bunting, so cute! Great for hanging up in any room or perfect for outside on summer days... weddings, fetes and garden, tea or birthday parties get a touch of English country charm with our spotty party bunting. 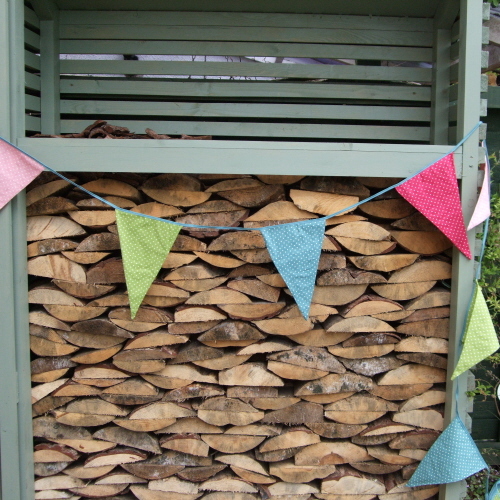 This double sided fabric bunting is made up of alternating pink, lime green, red and dark turquoise spotty triangular flags, joined together with a dark turquoise cotton tape.